When shopping for the best car insurance, drivers choose mainly based on price, service, and reputation. But one element that’s often overlooked is a company’s “surcharge schedule” — a predetermined premium increase that’s charged if you cause a car accident. According to the data, drivers who made claims in 2017 saw their policy premiums increase by an average of 44.1%. The study looked at the impact of claims worth $2,000 or more and compared premium increases in all states. How Much Does Car Insurance Go Up After An Accident? If the accident was not your fault, there is a good chance that your insurance company will not raise your rates. However, if you have had several accidents (even no-fault) your may see a bump in your bill. The increase depends on many factors. Insurers once followed the Insurance Services Office’s (ISO) standard of increasing a premium by 20 to 40 percent of the insurer’s base rate after an accident. However, that’s no longer the case. Now, you may see premium increases above 40 percent depending on the situation. Insure.com recently investigated the topic and found that the average car insurance rate increases for one at-fault accident varies greatly by state. The biggest rate increases according to the analysis are California (92 percent), Delaware (78 percent), and Massachusetts (72 percent). Those are on the high end. Most states are much less and closer to 20 or 30 percent. *Methodology: Rates are from six insurance companies for 10 different ZIP codes in each state. Averages are based on insurance for a single 40-year-old male who commutes 12 miles to work each day, with policy limits of 100/300/50 ($100,000 for injury liability for one person, $300,000 for all injuries and $50,000 for property damage in an accident) and a $500 deductible on collision and comprehensive coverage. This hypothetical driver has a clean record and good credit. Average rates are for comparative purposes. Your own rate will depend on your personal factors and vehicle. Data commissioned by Insure.com from Quadrant Information Services. 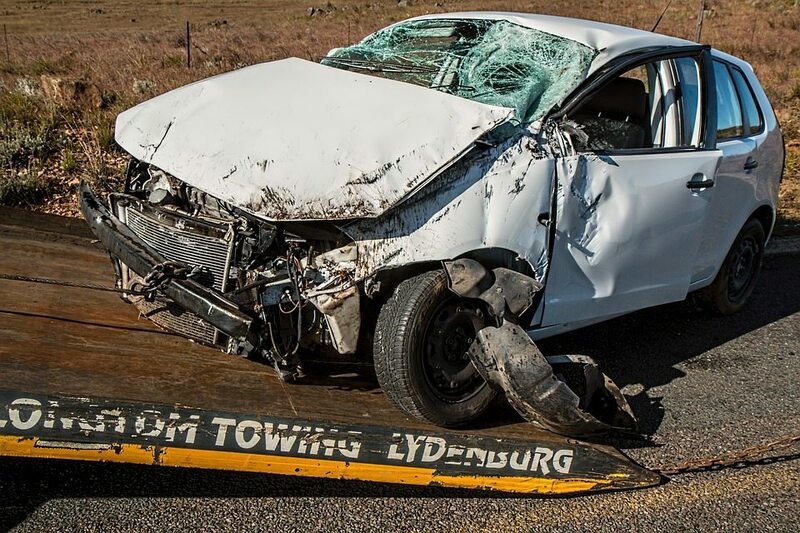 How Long After a Car Accident Does It Affect Your Insurance? Much like bankruptcy, an automobile accident can haunt your financial affairs for years to come. While this depends on the state you live in, you may see higher car insurance rates for 3 years after an accident. Throughout the 3 year window (assuming you’ve had no other accidents), you should see the rates returning to your pre-accident costs. However, car insurance rates in general tend to rise each year, so you may not see as profound a difference as you’d hoped for. Should You Bother Filing a Claim? First, your auto rates are only expected to surge if you are at fault in an accident. If someone else is at fault, the full claim is almost always handled through their insurance company – not yours. Obviously, that means the easiest way to avoid a huge bump in your premiums is to drive safely and avoid accidents when you can. Of course, life happens, which is why we have insurance in the first place. It’s not always feasible or possible to avoid accidents or claims of any kind. But in the face of surging premium costs, it’s smart to weigh your options before you file a claim on your insurance. If you have a minor repair with a cost that’s close to your deductible, it may not make sense to file a claim and see your rate go up. It might make more sense to pay for the damage yourself upfront, rather than file an insurance claim and pay significantly higher premiums for the next few years. Can you avoid an insurance increase after an accident? Focus on a clean driving record. Even though you caused an accident you should work to improve your driving record. You don’t want to rack up multiple accident, tickets or claims. Ask about customer loyalty programs. If you’re a long-time customer with a history of safe driving and only a minor accident, your insurance company may be willing to waive the surcharge, depending on the severity and state. Pay the damage out-of-pocket. You could pay out-of-pocket for any damage you cause to your car or to someone else’s property. But if you’ve caused damage to someone else, it’s better to let the insurance company handle the claim, so you don’t end up with a stranger making all sorts of demand for money. Ask about discounts. Whether you have a clean record or an accident. ask for a review of auto insurance discounts. Take a defensive driving course. Your state may offer approved driving courses that could result in points off your record. Switch auto insurance companies. Prices can vary considerably among companies, no matter what your accident history is. You may be able save money by switching to another company.